Uke moves hands slowly and smoothly about. 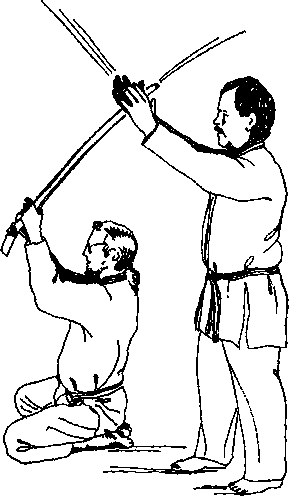 Uke tries to touch nage gently on the nose or chest. 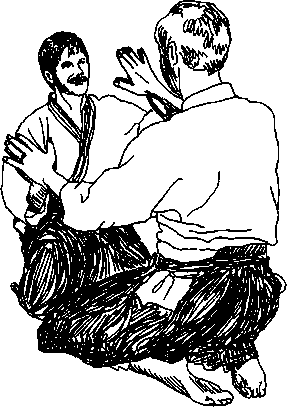 With hands apart, nage, with eyes closed, follows uke's movements by sensing the heat of uke's hands. 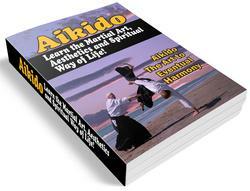 Aikido rather than other martial arts because if all you can see is a blur you must rely0 feeling. Those with good eyes can overcome their handicap of goo» vision by closing eyes or practicing in a dimly lit room.